SCRANTON – Democratic voters roughly ranging in age from 56 to 73 gathered outside Lackawanna Courthouse Thursday night for a vigil in honor of former Vice President Joe Biden’s personal reputation and integrity. The potential 2020 presidential candidate is facing growing anger for his up-close and personal contact with women throughout his career. 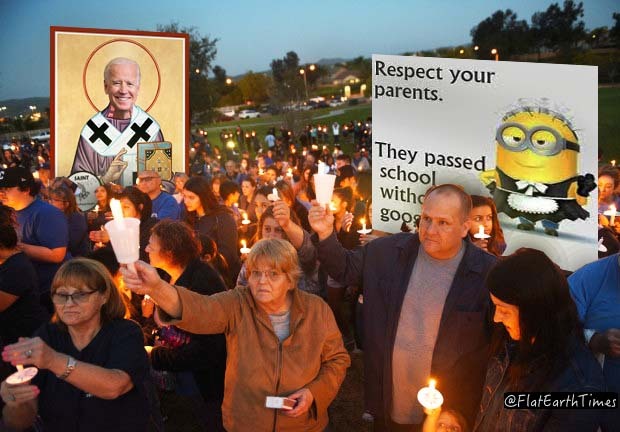 Participants in the vigil expressed the hope that their thoughts and prayers would preserve Mr. Biden’s integrity, under assault from ‘snowflake’ millennials. The Baby Boomers suggested Mr. Biden was their only chance to beat President Trump in the upcoming 2020 race. At this point the vigil quickly dispersed, with participants muttering about catching “Hip, progressive remakes of old hits” for regularly scheduled programming on network television.